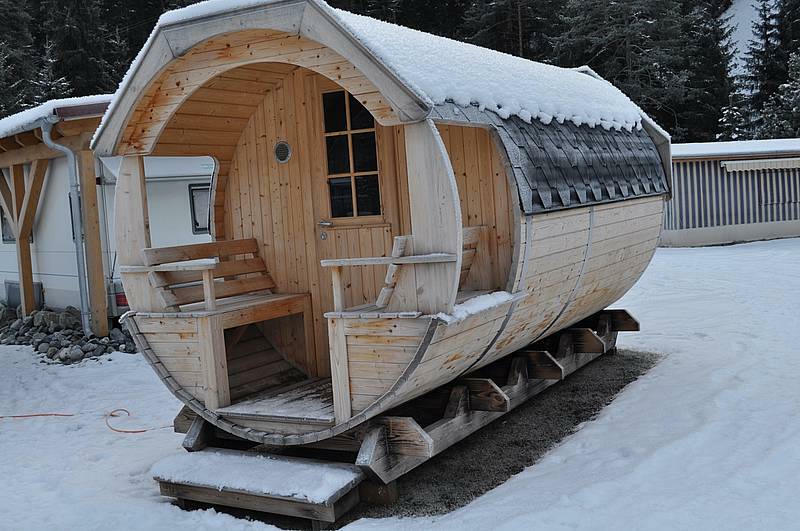 Stay in an extraordinary residence, in a Sur En log cabin! 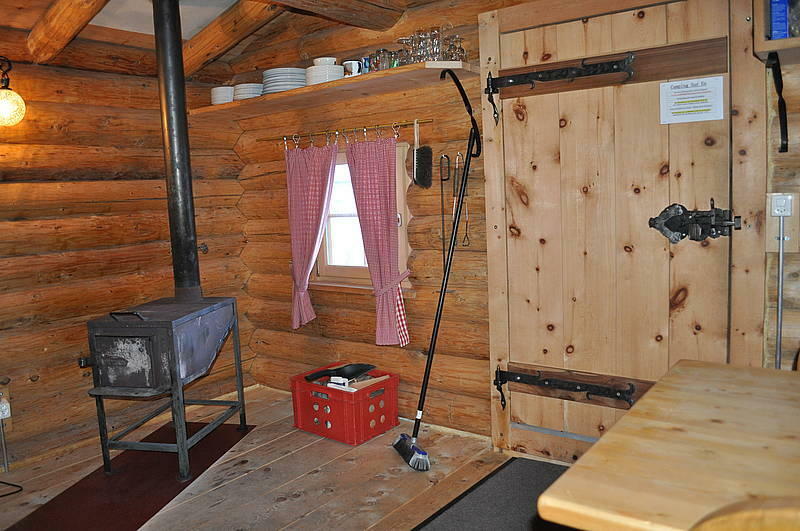 The historic building technique for log cabins was accurately followed; the construction of the walls from raw, only minimally processed logs stacked on top of one another gives the log cabin its very special charm. 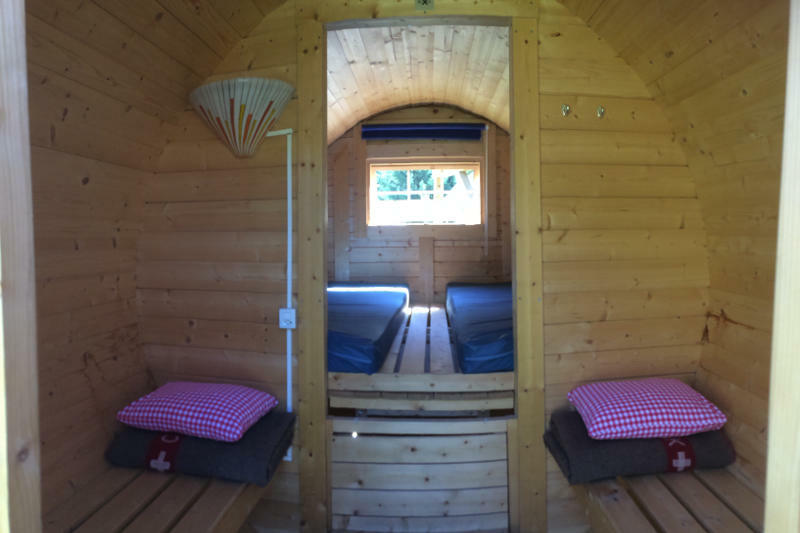 The log cabin has four beds (including military woollen blankets and small pillows, please bring your own sleeping bags or hire duvets, fitted sheets and pillows), a cosy dining table and an original wood-burning stove, providing warmth, cosiness and a great atmosphere. 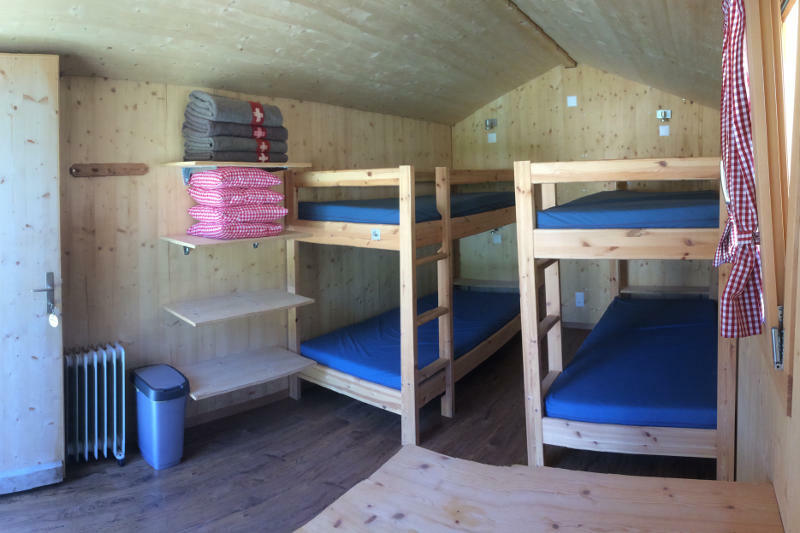 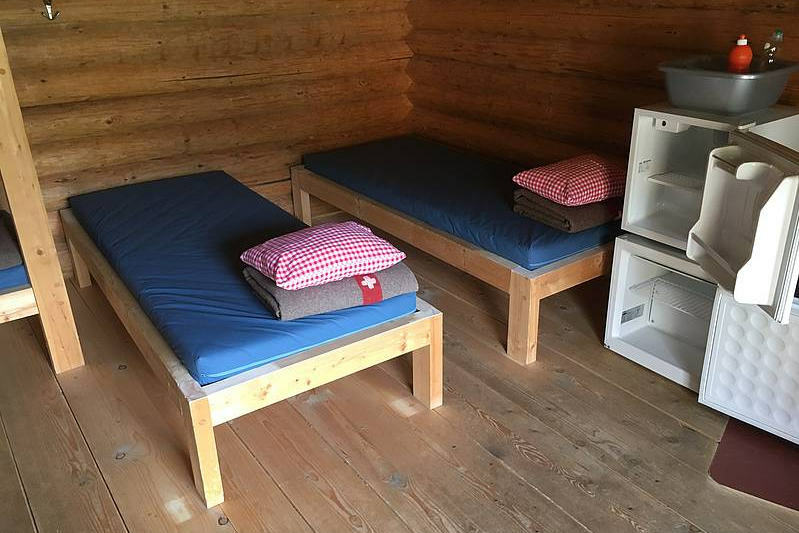 The chalets have four beds (including military woollen blankets and small pillows, please bring your own sleeping bags), convenient shelves and a table. 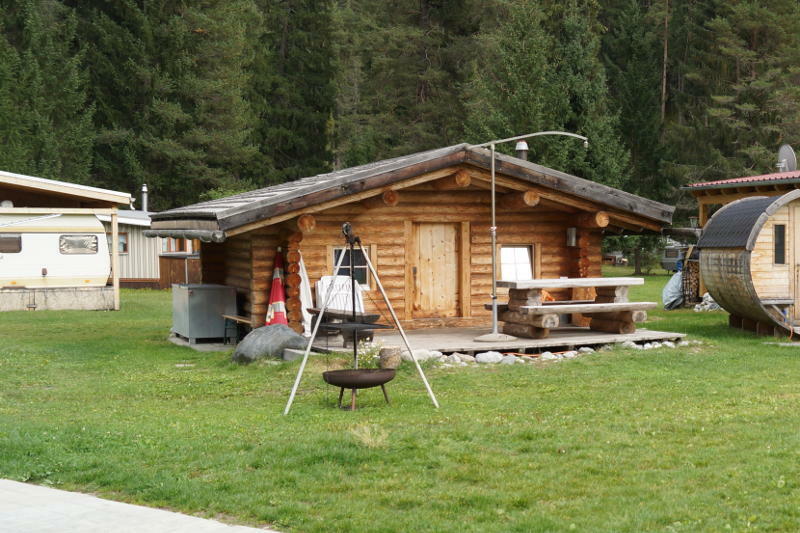 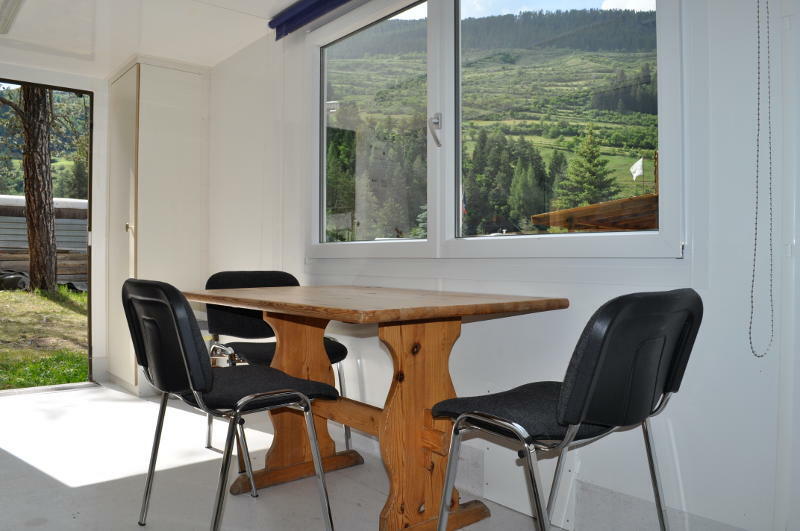 You can enjoy your meals in front of the chalet at the large wooden table and benches. 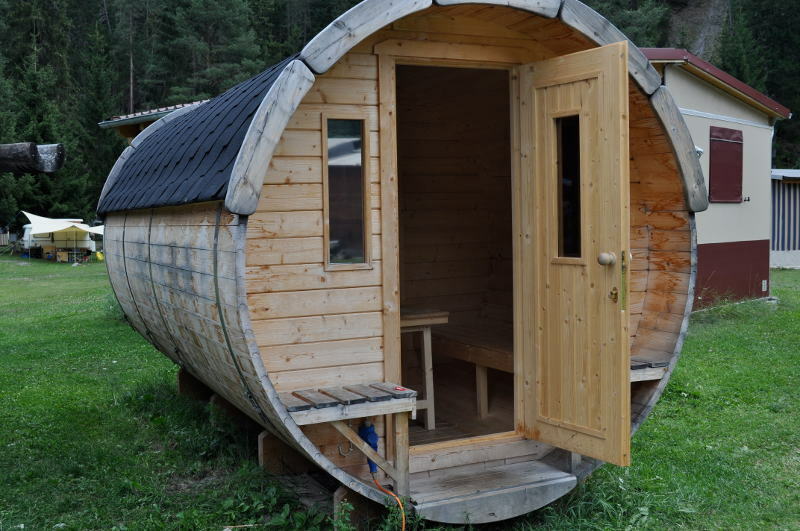 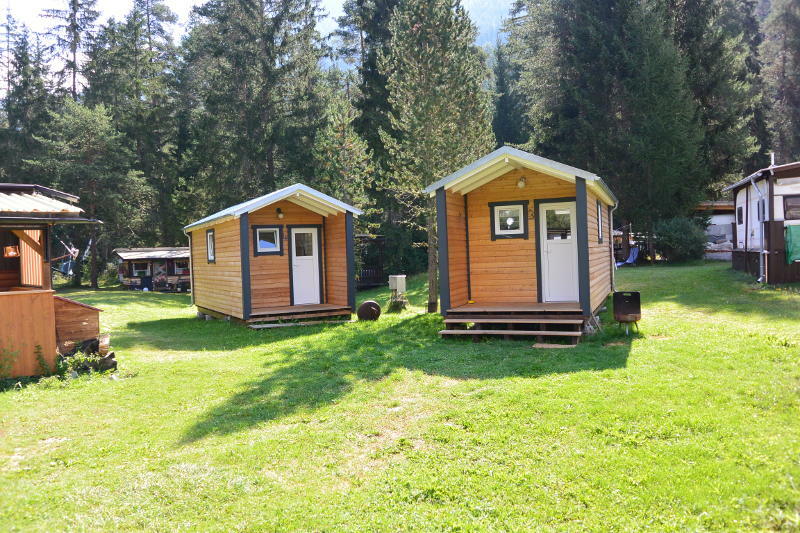 These chalets accommodate two adults and up to two children or a total of three adults. 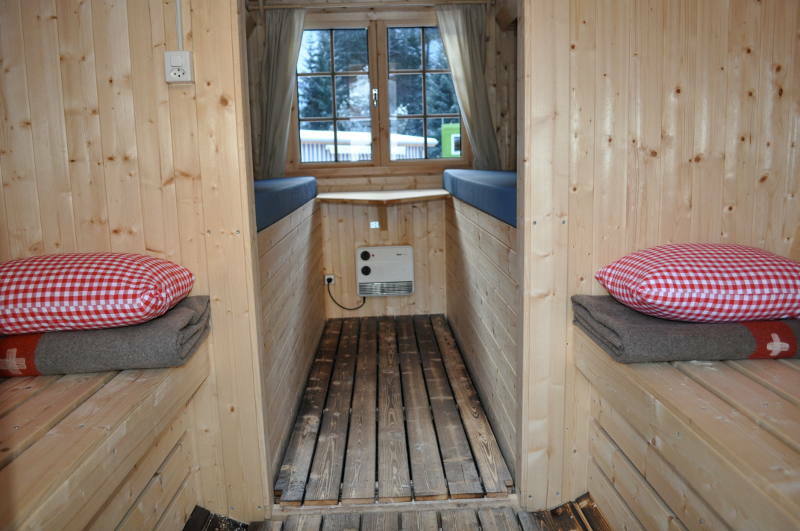 Fully equipped with a king-size bed (160x200cm), a top bunk with ladder (140x200cm), a kitchenette (without a sink) featuring a 2-ring hob and fridge, a dining table and two chairs and an open built-in cupboard. 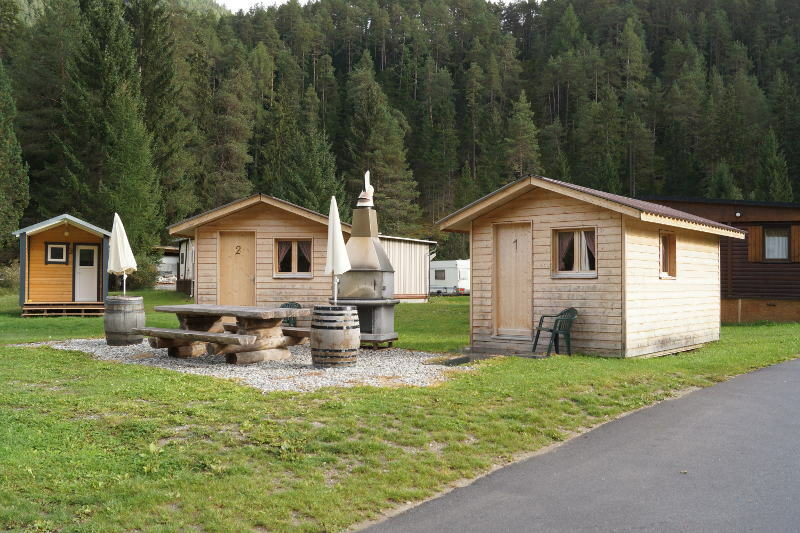 We wish you great fun during your stay; chalets can be rented for a minimum duration of one week (seven days). 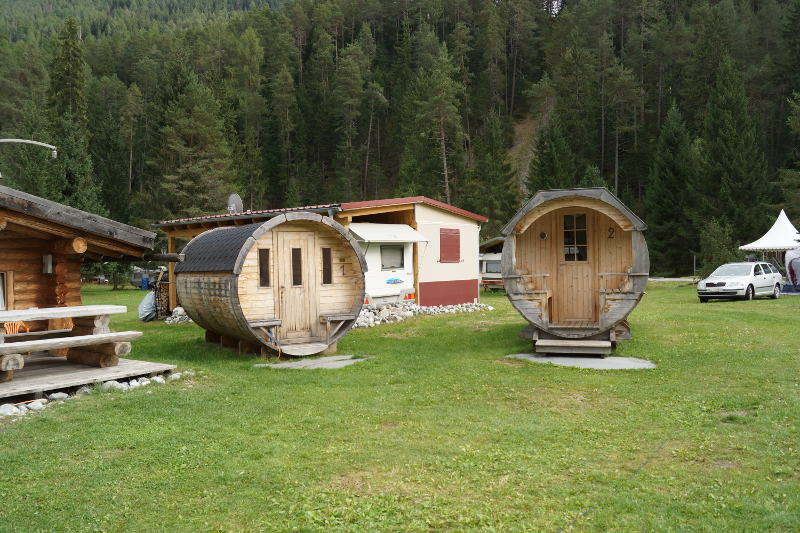 Equally extraordinary and maybe just what you’re looking for… A barrel of laughs! 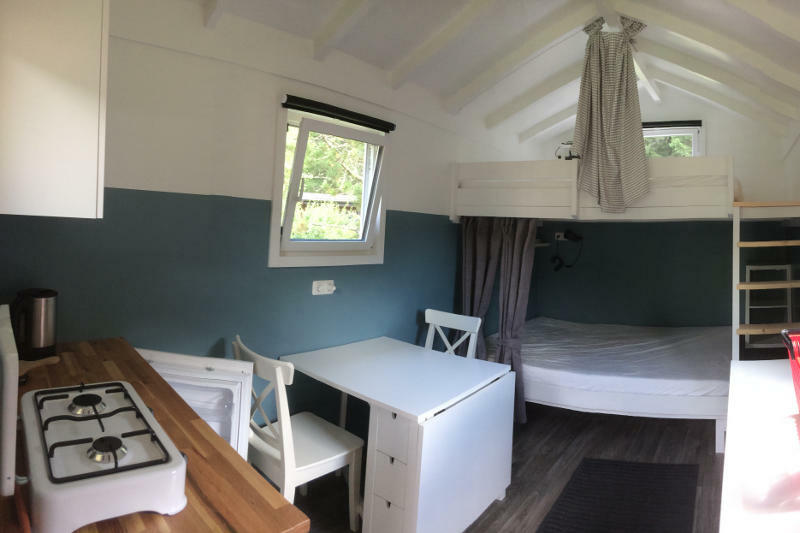 Treat yourself, together with your family, children, friends or colleagues to a different kind of stay on the Sur En campsite. 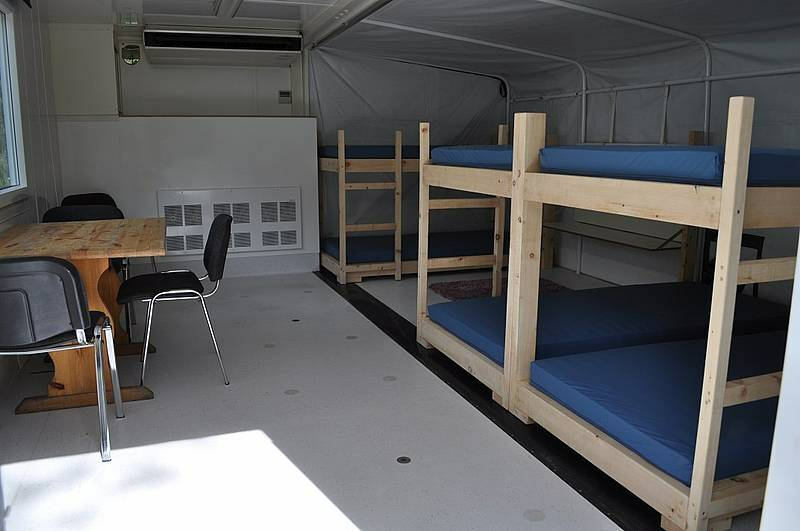 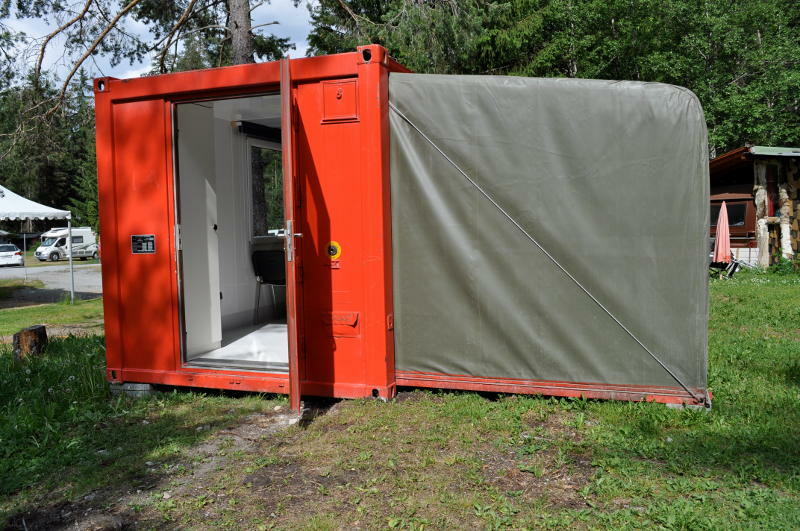 The container has six beds, convenient shelves and a table and chairs. 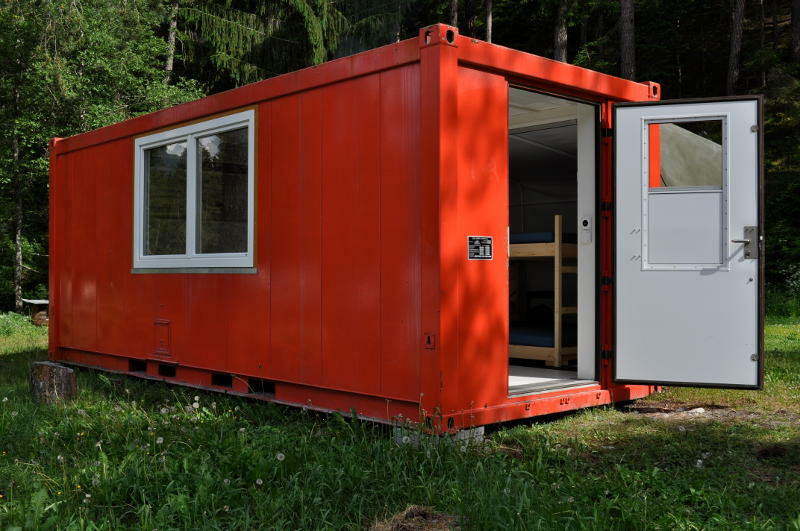 Please note that you may be sharing the container with other people; if you want to use the sleeping container on your own, you have to book six places!